We’re definitely a family that loves playing games. 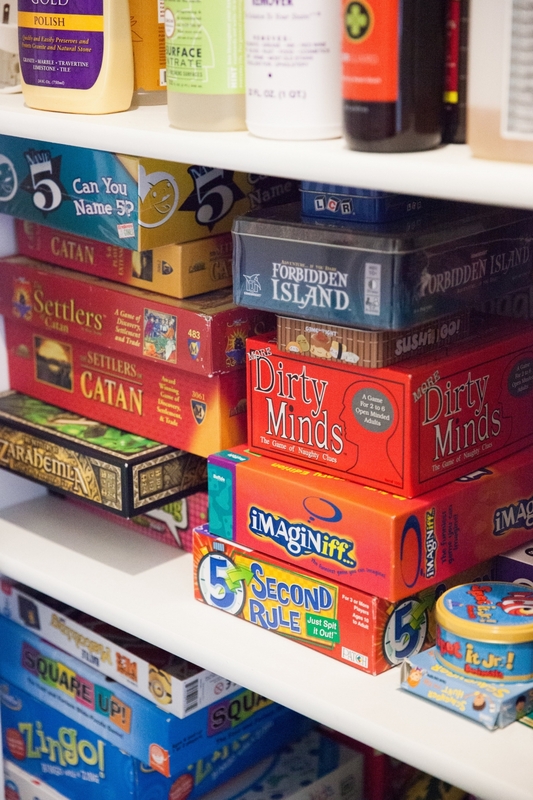 Whether it’s on a road trip, a family gathering, or on a vacation, we’ve come to love a handful of games that work for all ages. 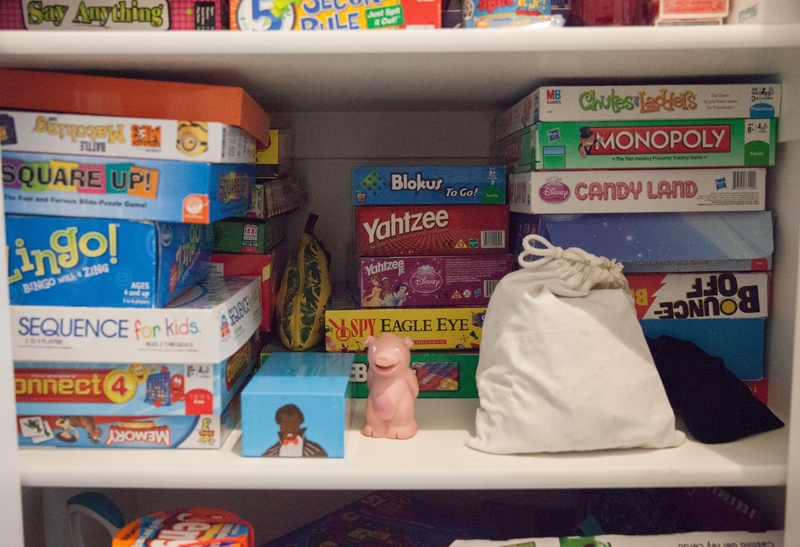 As you probably spotted, we do have a few adult-themed games scattered throughout and those are usually one shelf up! (See? 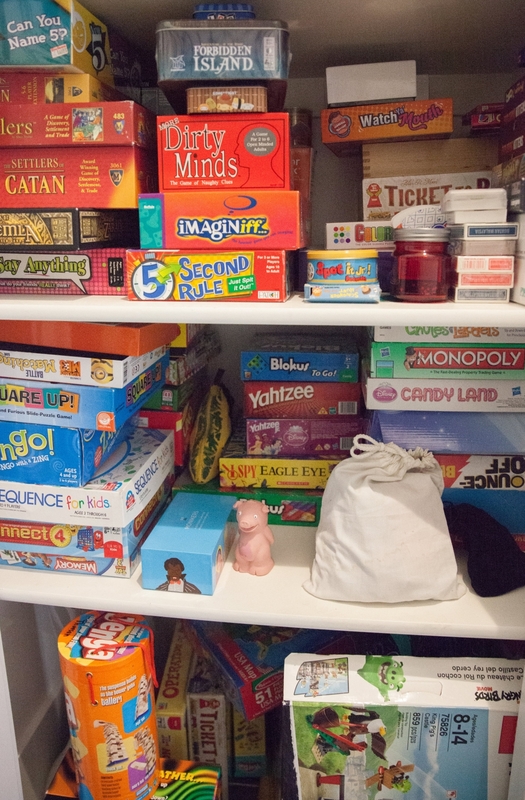 This is real life – I didn’t organize this closet before I snapped pics) But usually, this closet holds all age-appropriate games on the lowest shelf, older kid’s games on the middle, and adult/parent games on the top shelf. 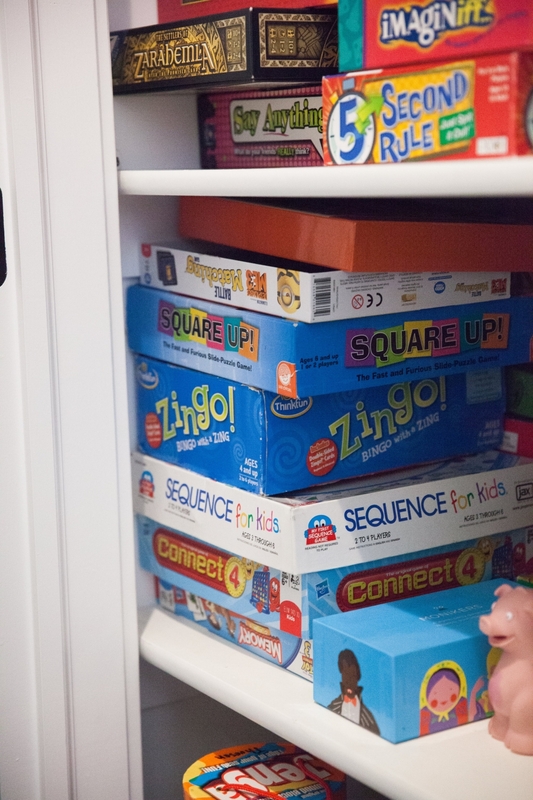 It’s a great way to organize and ensure that your littles only grab what they can reach! 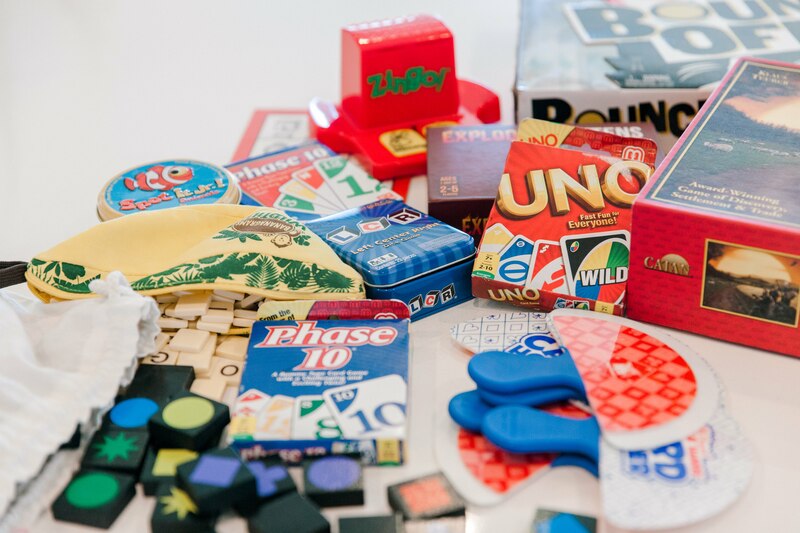 AGES: 7+ Players race each other to build words and get rid of their tiles. First person that runs out of tiles wins! 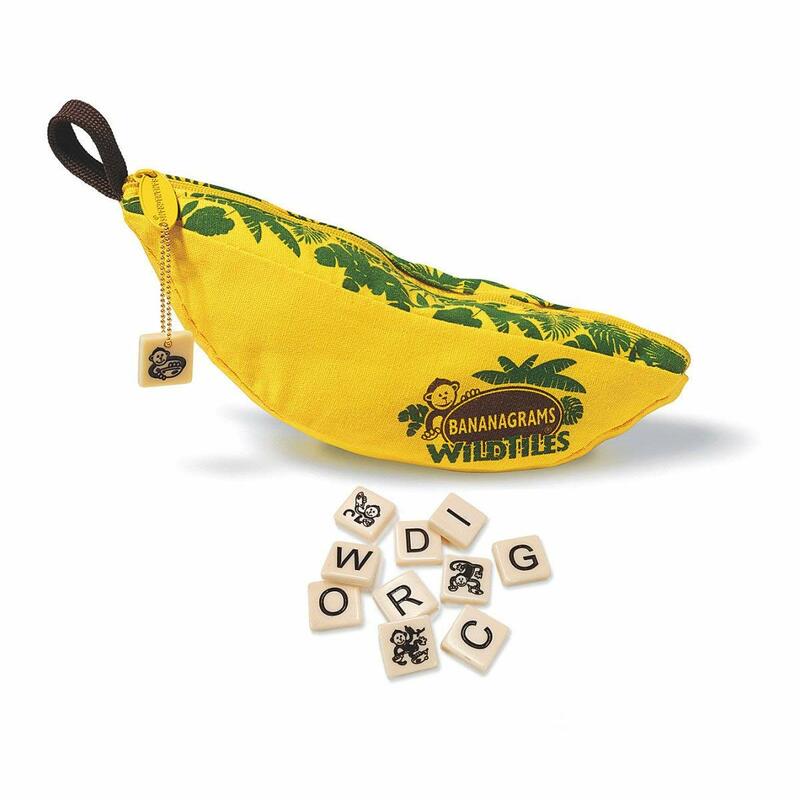 We love this game because it comes with 6 wild tiles that can be used in place of 1 lettered tile and the younger kids are able to keep up with the older ones! 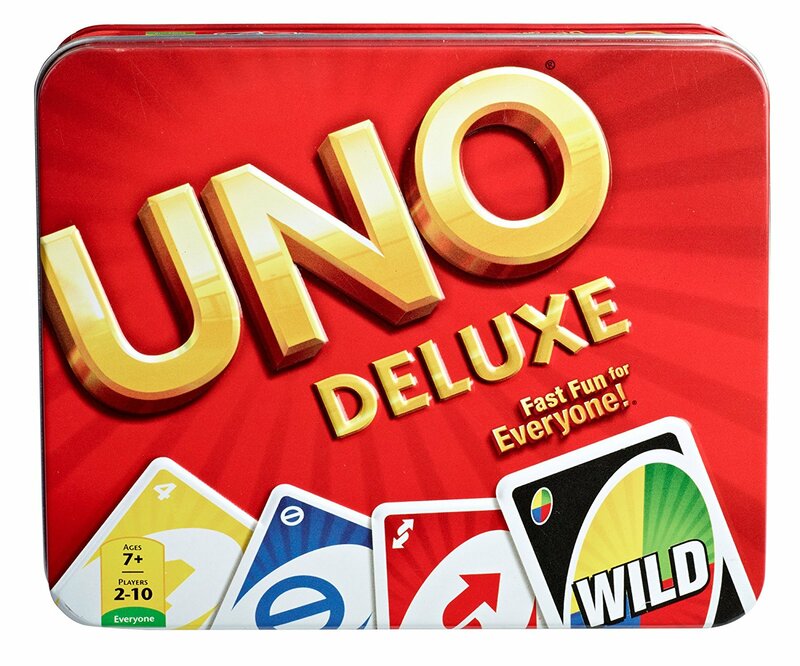 AGES: 5+ Who doesn't love Uno? 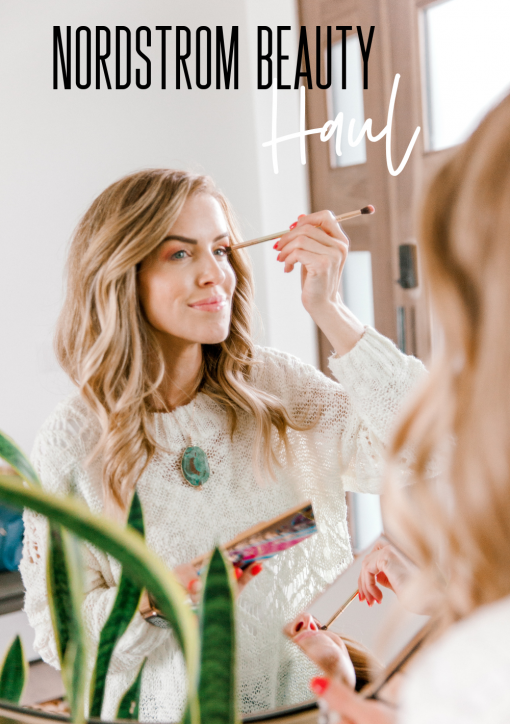 We say ages 5 and up because there are so many variations of this game AND there are far simpler games you can play based just on colors or shapes that are easier for younger kids! AGES: 6+ You've probably seen us playing this game while we road trip. 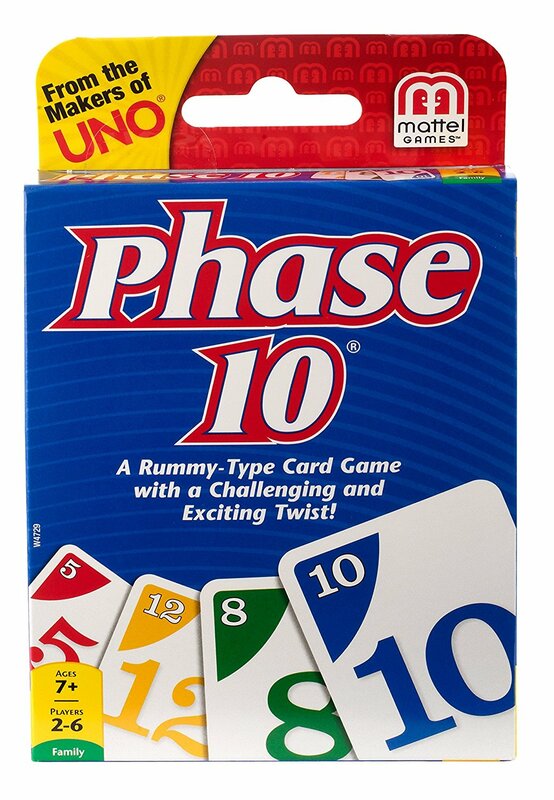 It's for two players and it's so simple - I'd say even a 5-year old could play this game and win! 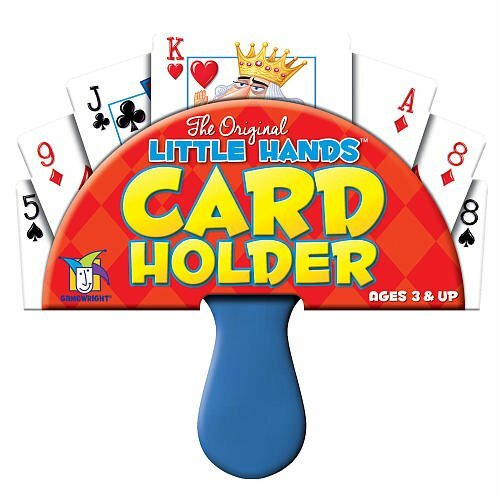 While technically NOT a game, these card-holders make playing cards with little kids sooo much easier! AGES: 4+ This is a fun "i spy" type game where you pull two cards out of the tin and find the pictured item they both share. Because of how many pictures each card has on it, there are so many possible combinations! 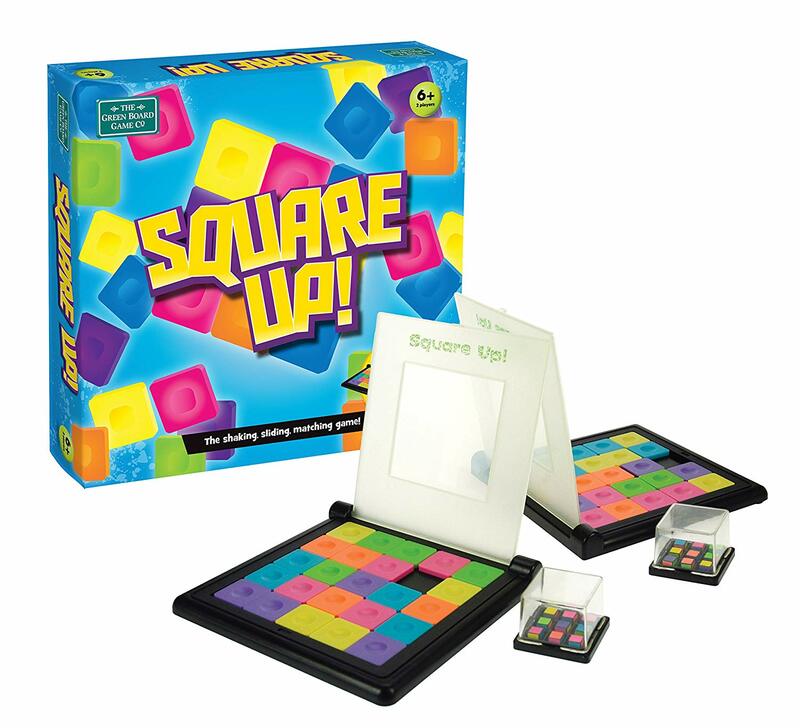 AGES: 6+ From the makers of Square Up, Qwirkle is another of our favorite matching games that is easy for our younger kids to play but can be made challenging for the older kids to play as well! 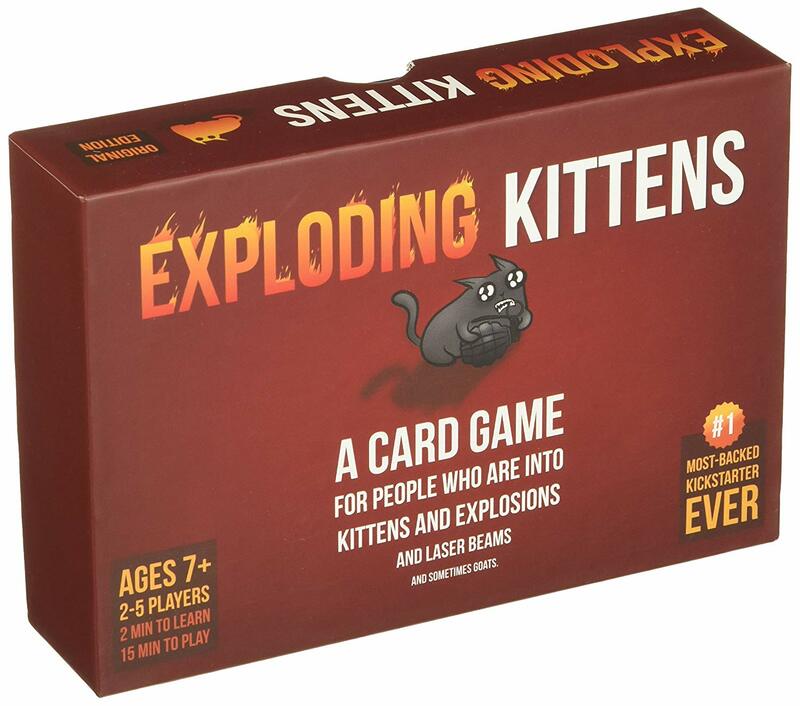 AGES: 7+ You basically draw cards until you draw an exploding kitten...which then makes you explode and you're out of the game. There are various cards to avoid this and our kids crack up every time a kitten is drawn! 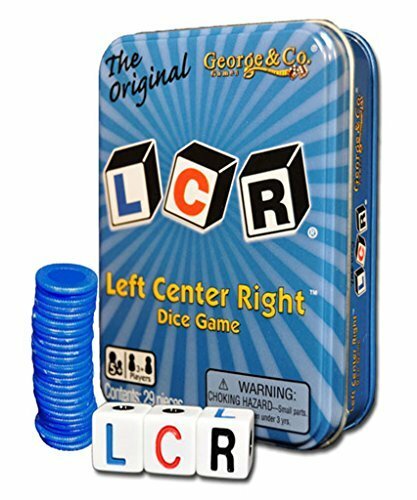 AGES: 5+ This dice game is fun and fast! 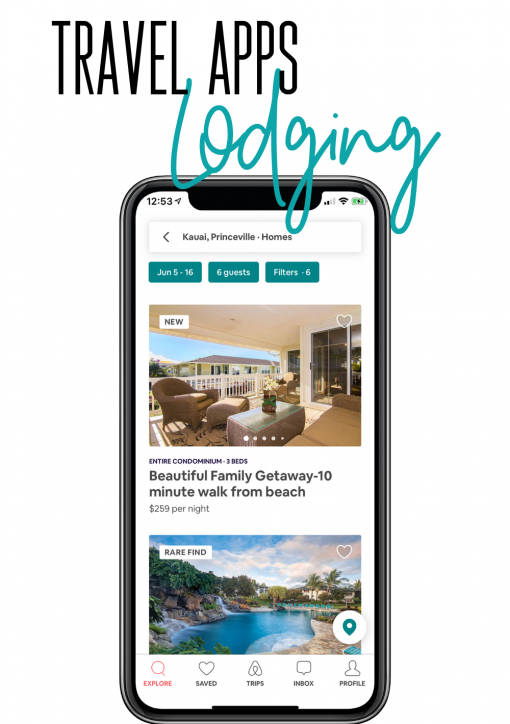 You're essentially throwing the dice to see where to pass your chips next. The person who ends with all the chips wins! 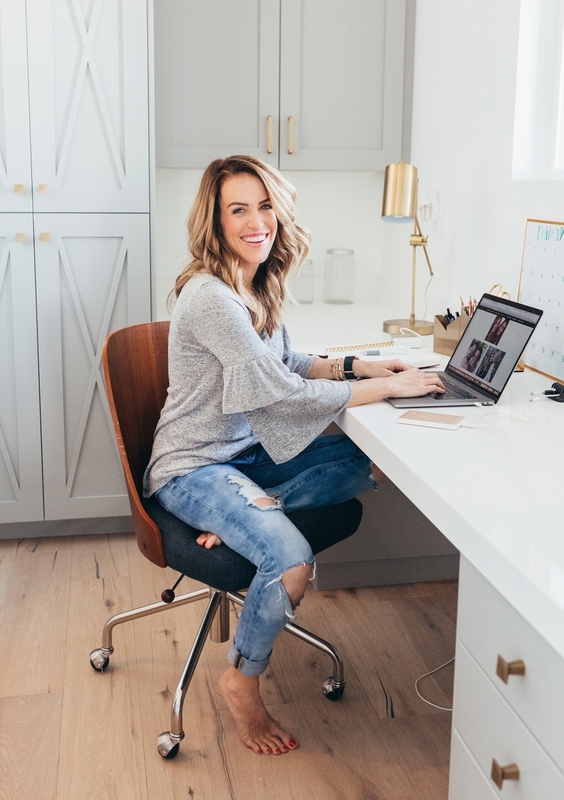 This is a super fun one to take on a plane or road trip! 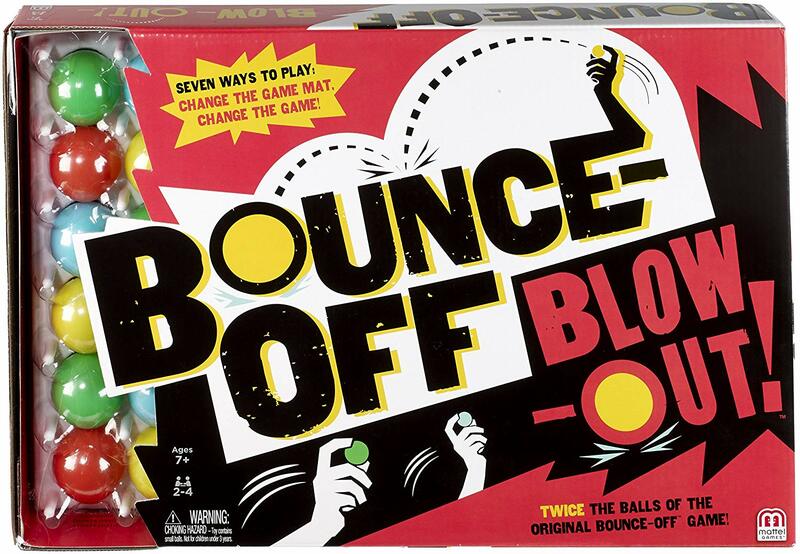 AGES: 7+ This game lives up to its name - you simply bounce your ball into the space you hope to take! 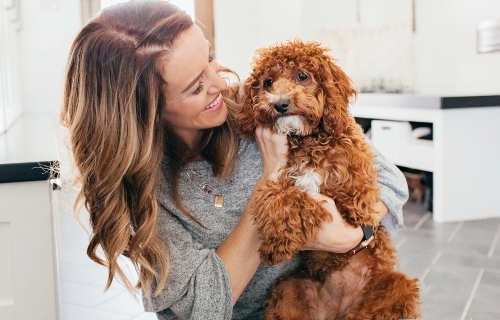 Kid will over-bounce and end up chasing balls, and I promise you'll be laughing tears in no time! 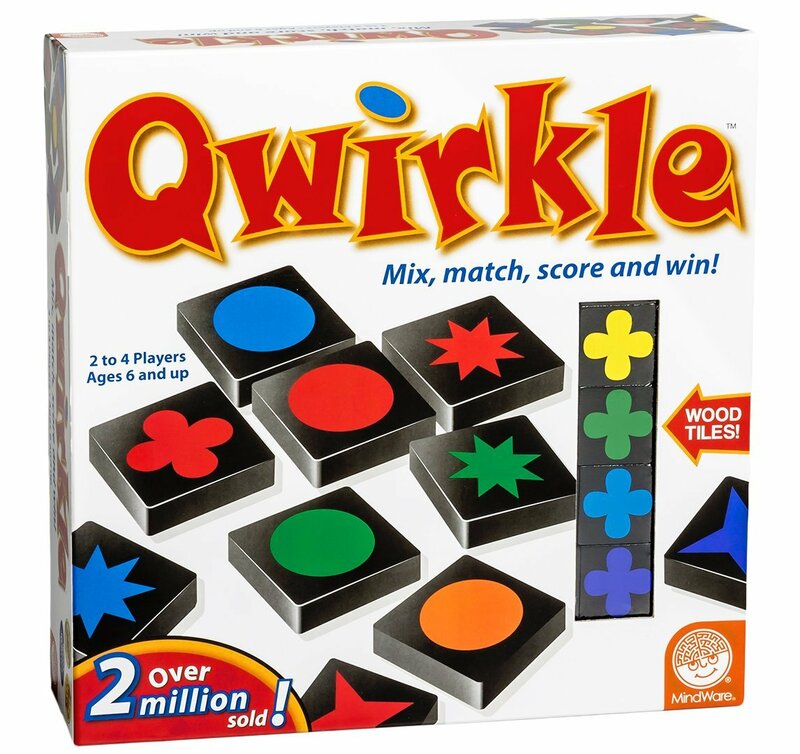 Qwirkle, square up, and spot it are the best. 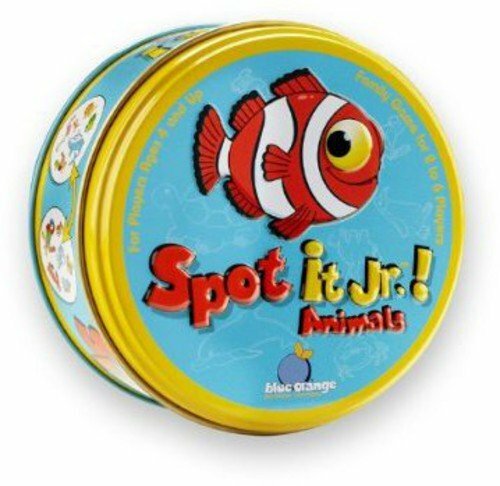 You can buy different versions of spot it too! Camping, nautical, everything! Right? Love Spot It! So good for all ages! Thanks for the suggestions! I’ll add these to our list! You have to get Cover Your Assets!!!! So fun! !